Technology is great when it puts useful information in the palm of your hand. 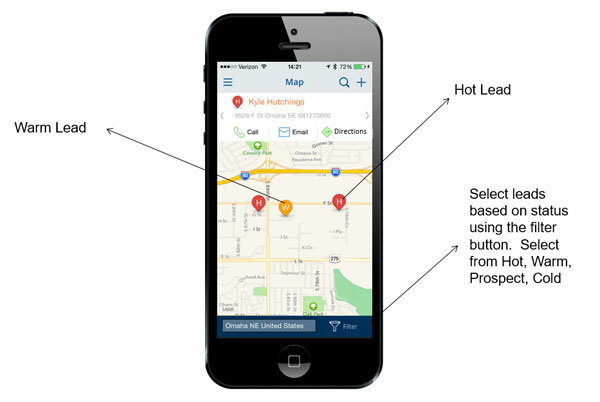 The prospect mapping function from infofree.com does exactly that. With it, you run a search based on criteria (examples include: zip code, age, income) to create a prospect list. You transfer that list, and the app displays the prospects on a map on your phone. It takes a lot of guesswork out of calling on prospects. With this function, you can also upload your list of existing clients, manage all of your contacts, and see them displayed on that map. It puts everyone you’re working with in one place. This feature is available from infofree.com now. You can get the smartphone application on iTunes and in the Google Play store, when you have an infofree.com account. Senior Market Sales offers the best way to take advantage of this expansive infofree.com database and contact management software. SMS has a specially negotiated rate with infofree.com that gets contracted agents an account that includes the prospect mapping tool and much more for half of the retail price. There are no setup fees, and it includes a 30-day free trial. You have to be contracted through SMS to take advantage of this exclusive offer with infofree.com. Call an SMS Marketing Consultant today and get connected to your clients and prospects at this exclusive discounted rate – 1-877-888-0093. This prospect mapping tool is also one of the useful marketing tools and assistance available the Level Up Medicare Marketing Assistance Program with SMS. Click here to learn how this program can help you reach the next level of production in your business.